A Steam Jet Thermocompressor is an energy saving device that compresses low pressure steam, often waste steam, to a higher usable pressure. It offers an advantage over mechanical compressors/blowers due to its smaller size while handling a very large vapour volume under vacuum conditions. Due to its size and absence of mechanical parts, it requires a very low capital investment and offers a very long maintenance free service with operational safety. For a given set of operating conditions, a ratio of entrained suction vapour to motive vapour is determined and the amount of motive steam is calculated. The mass and pressure of the motive steam determines the size of the motive steam nozzle. For applications with varying operating conditions, Chem Process offers a variable nozzle design, to ensure that efficient performance is maintained over the range of desired operation. To achieve variable performance, a steam regulating spindle is fitted to the nozzle and actuated either manually or automatically. 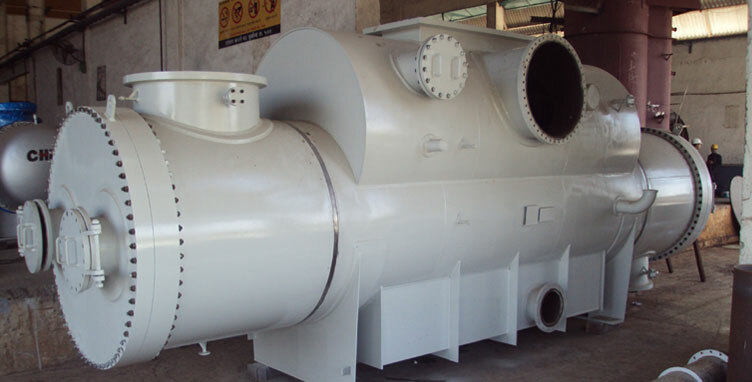 Thermocompressors are finding increased applications in paper, food, pharmaceutical, chemical and other process industries in steam dryers, vacuum dryers, evaporators, deodorizers, etc. Our Thermocompressors are simple and consist of three fundamental components: motive steam nozzle, suction body and a diffuser. 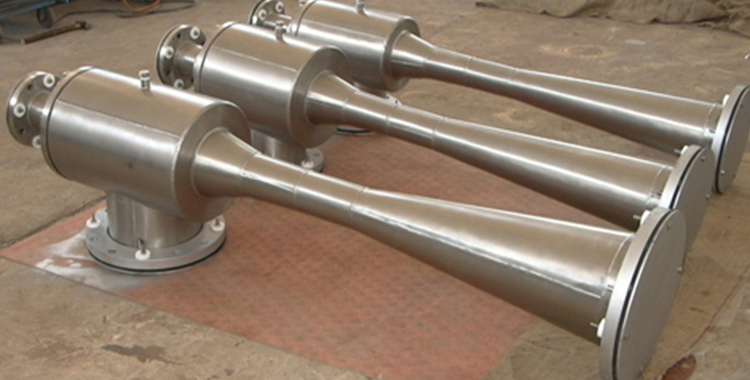 A wide range of materials of construction are available including stainless steel, carbon steel, chrome molybdenum, titanium, etc. Steam jet thermocompressor designs are available for all National and International design Codes such as ASME VIII Div.1, PD 5500, Stoomwezen, A.D. Merkblatter, etc. Units can be provided with CE marking wherever required.